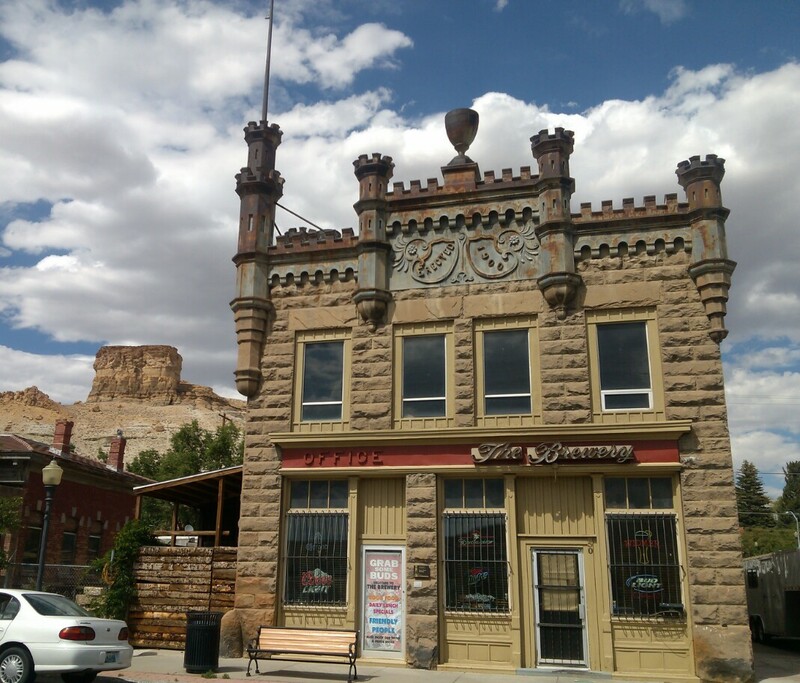 I left Boise, Idaho and headed to Green River, Wyoming. I got into town early and decided to explore the area on a bike. I found an old building which is evidence of the town’s old roots. Old building in Green River, Wyoming. I crossed the rail yard on a pretty cool bridge. The railroad tracks separate the old from newer part of town. 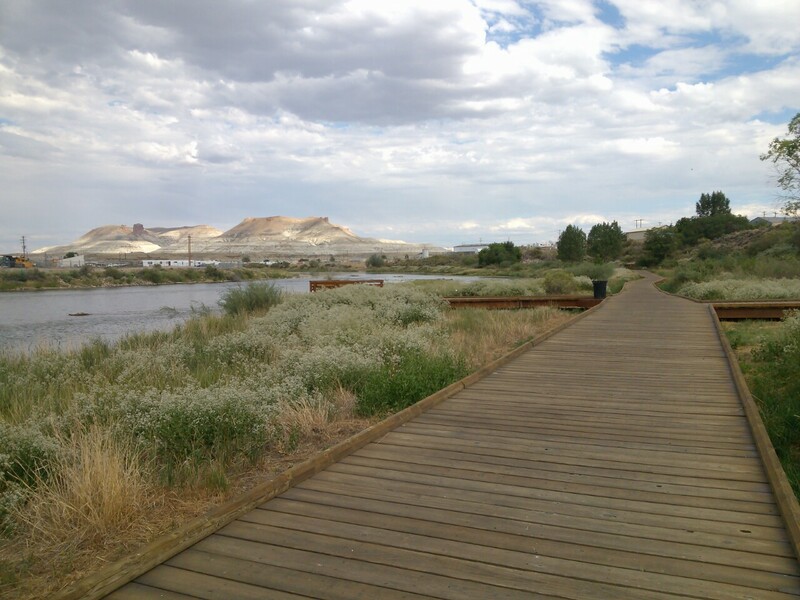 I found a paved and boardwalk path that went for miles along the Green River. There was an amazing variety of birds along this path. The blue birds flew all around me as I rode along. Before I returned to the hotel, I stopped to watch kids jump off of the pedestrian bridge that went over the river. It was very entertaining and took me back to the simple joys of youth. The next morning I packed up and headed towards Colorado. Wyoming has some pretty cool sights but there was a whole lot of hot and dry desert that seemed to go on forever. I stopped at an old military fort which was on the way. Fort Steele was constructed in 1868. Some of the original building are still standing. 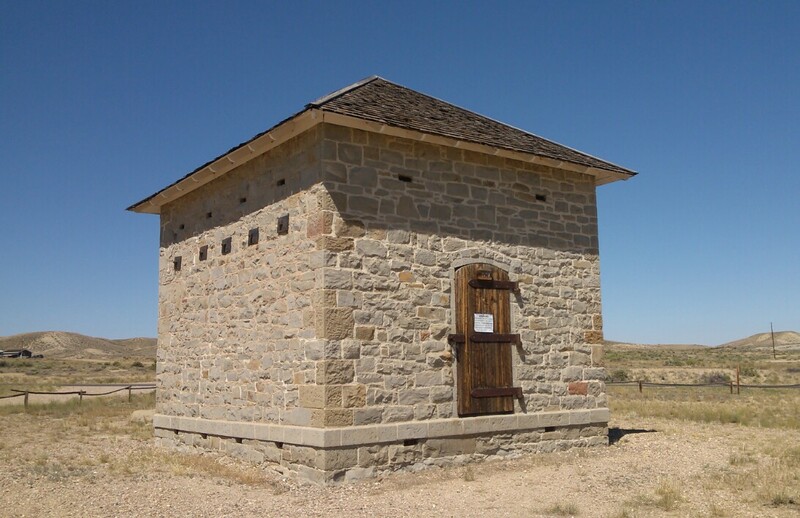 Fort Steele powder magazine. Built in 1881. 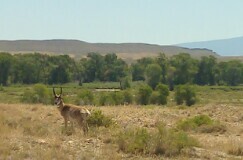 On my way back to the highway I stopped to take a photo of an antelope that was grazing nearby. I saw many more as I worked my way across the state. 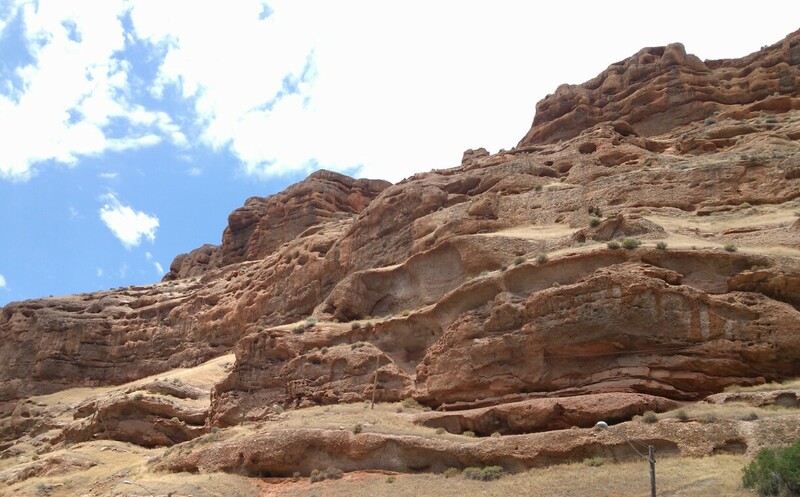 The rock formations in this area begged to be photographed. I was very happy to make it into Colorado. The desert had turned to sparse trees and hills. I made it to Estes Park, Colorado where I will stay for the next two days. The road to this place is cut through huge rock walls that seem to engulf the road as it snakes its way up the mountain. Words cannot describe the huge open mountain beauty that opened before me as I entered Estes Park. Tomorrow will be a test of my mental and physical fitness as well as I ride into the mountains. 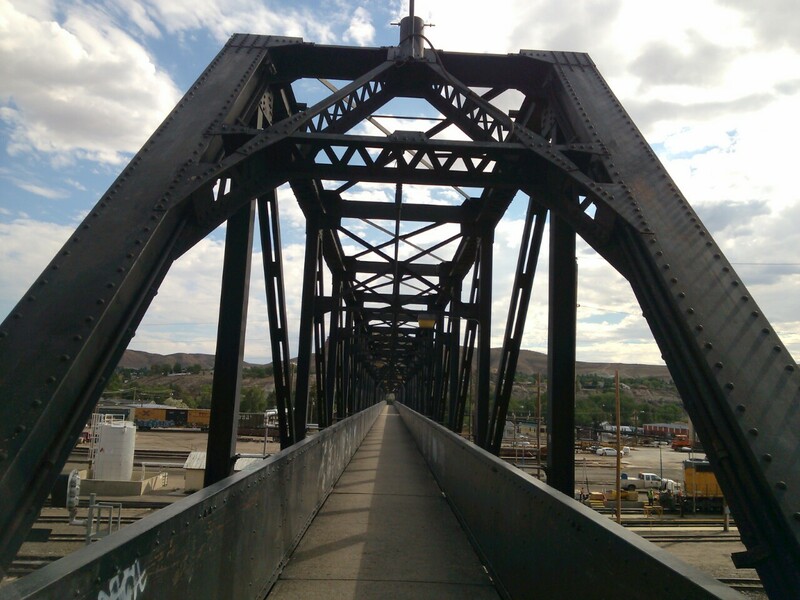 This entry was posted in Bicycling, Green River, Wyoming. Bookmark the permalink. I’m right there with you pal. Hey if you need any local assistance, my brother and his family live in Lakewood, Co. My nephew (Max) works in a bicycle shop, and between the two of them they could build an aircraft carrier from a random collection of items found in a kitchen drawer. So… just in case… We’re all standing by. Thanks Jeff but I hope not to need them. You would have loved the river walk path. I can just see you with binos and bird book in hand.